Had a customized Alyssa Valdez bobblehead made (ala Funko Pop). For the uninitiated, Funko is the brand that manufactures the hot-selling Pops. Customized Pops though are done by other folks. The average Funko Pop sells for about P450 here in Manila. But others fetch for as much as Php 2,300 depending on their rarity. You know, basic law of supply and demand. 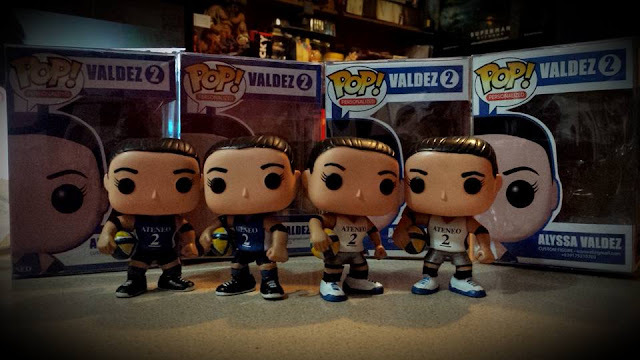 Back to the Alyssa Valdez Pop... each one (you can choose in white or blue) costs... Php4,000. Yep, you read it right -- 4K. That is the going price for customized Pops. Now they aren't mass produced. So if you order, it will take anywhere from 10-days to two weeks for this to get done and according to the dude making it, he will produce it in batches. Should you be interested, text him at 0917 521 0703.
good evening, sir, where can get the customized aly bobblehead?